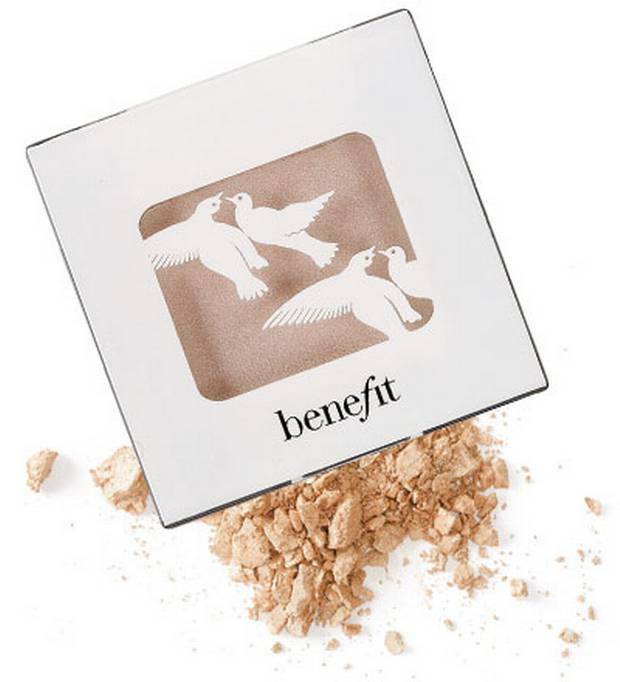 For the past few years Benefit has slowly grown into my make-up brand of choice. There are a number of reasons for this. Firstly the packaging and branding is delightful. It has a cheeky vintage feel. My susceptibility to pin-up inspired illustrations aside, the make-up itself is excellent for a no-fuss girl like myself. The stuff applies easily, lasts a long time with minimal retouches and looks great. I only realised the other day but my basic make-up essentials are now comprised almost entirely of Benefit products. So I thought I would talk you through my morning make-up routine. This is a make-up primer for your eyes. 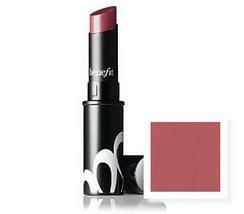 Its main purpose is to keep your eye shadow on your eyelids which it does brilliantly. But it also has the added bonus of reducing dark shadows under your eyes. I apply three dots on the eyelids and three dots just below my eyes and smooth over. Instantly I look more awake! Another primer, this one is a brightener – it’s a soft baby pink shade and has a subtle sweet scent that reminds me of wild strawberries. 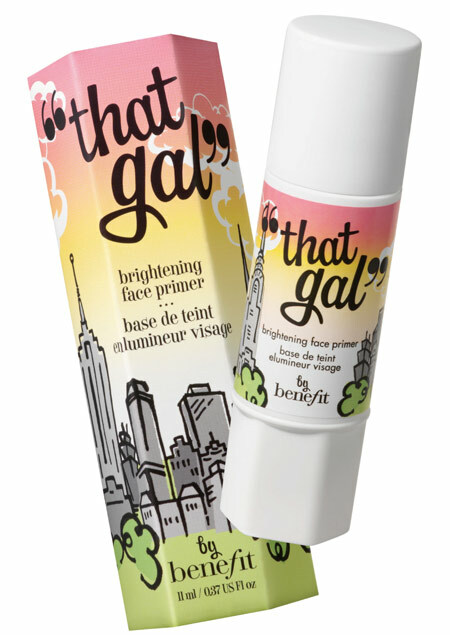 My skin is really pale, and when I am tired it goes a bit grey so this primer is a great way to bring a bit of colour back into my face. Also it feels lovely and soothing when I apply it. Although this is a primer, I tend to just apply this and skip foundation as I don’t like wearing too much make-up on a daily basis. This is a basic neutral eye shadow with a bit of shimmer to add some brightness. It is as simple a shade as it gets and I love it. I wear it pretty much every day. It is applies really well, just one sweep on each eyelid and I am done. Also I have been using the same little pot for 2 years and I still have plenty left. 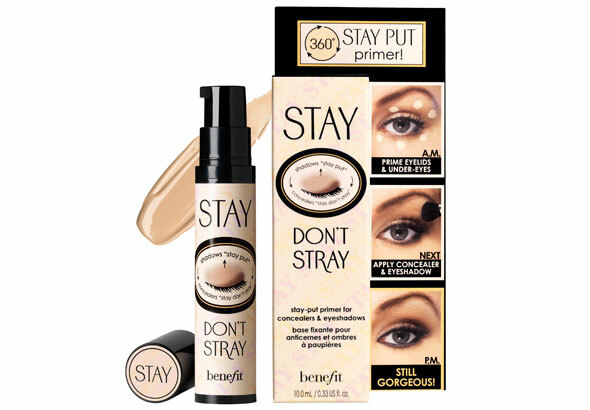 My first Benefit mascara was a deep plum one which looked great on my lashes but when it smudged created a bit of a black eye effect that was less flattering. But now that ‘They’re Real’ has come out I have found my mascara of choice. 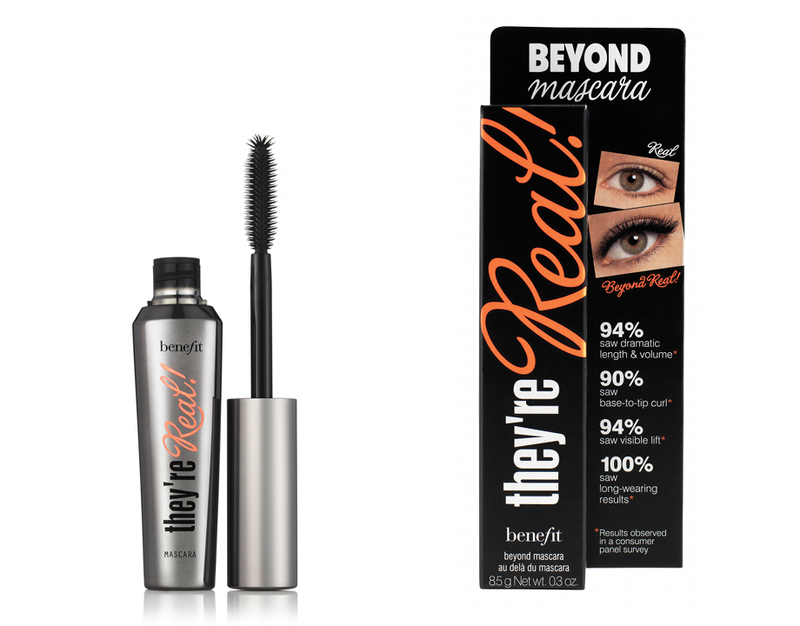 ‘They’re Real’ does a great job of quickly separating and extending my lashes in a couple of quick sweeps. Now that my eyes are done I add three dots of Benetint to each cheek and blend them together for a subtle pink cheek colour. 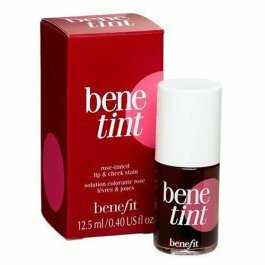 Benetint is a rose tinted cheek and lip stain and if subtle is not your thing, you can build up the colour in layers if you want something more dramatic. Confession time, I normally use Maybelline Superstay 24 hours for my everyday lip colour, because I only need to apply it once and it lasts all day. But when I get bored of my normal ‘Rose Dust’ shade Sassy Frass is good for a change. It’s brighter and more daring than the rest of my make-up, but as I keep my eyes and cheeks neutral I can afford to be bolder with my lip colours.